Increasingly, local governments are imposing, or attempting to impose, ownership restrictions or outright bans on certain breeds within their jurisdiction. The breeds most commonly singled out are Rottweilers, American Staffordshire Bull Terriers ("Pit Bulls"), Chow Chows, German Shepherd Dogs, and Doberman Pinschers. What happens if you have a service dog of one of these breeds? This conflict between local law and federal law (the ADA) is currently playing out in Denver, CO. Denver has had a ban on "pit bulls" for many years and the law has withstood several court challenges. A lawsuit has been filed on the behalf of three litigants by the Animal Law Center. 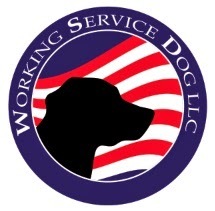 They believe that the ADA prohibits any dog breed from being banned as a service animal. The Denver City Council is currently working on legislation that will bring city law into compliance with the ADA; however, concerns exist that citizens without a legitimate service animal need will use this as a "backdoor" into legal pit bull ownership. We will keep an eye on this story and bring you any updats.. I hope that they change things so that service dogs are not breed specific. I live in San Diego and have a pit bull as a services dog. We don't have any breed restrictions here.